The property we stayed in was clean, modern, beds were comfortable and location was central. This property has good restaurants and amenities nearby. An ideal location if we had selected this property. It does not appear anywhere on booking.com. The first time we stayed in Lyon we stayed in the Old Town. After a week of exploring we knew that the 6th was were we wanted to be for this trip. 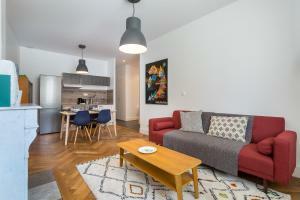 A great apartment in a far leas touristy area. You are right at the Foch metro station, and can easily walk to the Musee de Beaux Art, or the touristy sites. You have lots of restaurants and shops near by. This is a great base for your Lyon trip. The apartment itself is well appointed. The bedrooms were quiet at night. Good space. Laundry facilities and dishwasher. 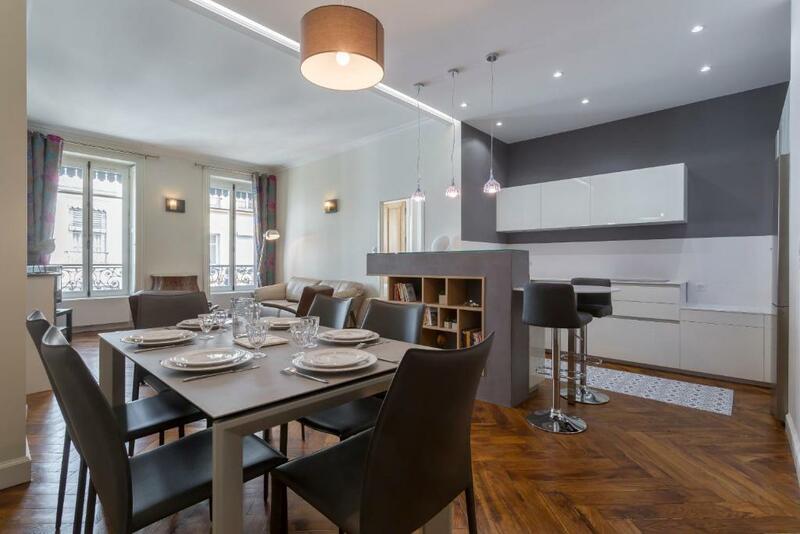 Gorgeous apartment in a great location near le Parc de la Tete d'Or, near the Rhone, within reasonable walking distance of all the major sites of Lyon. 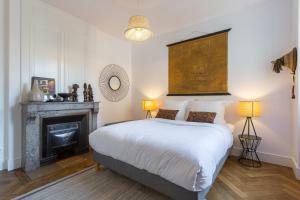 Beautifully renovated and thoughtfully furnished, we would stay here again in a heartbeat. 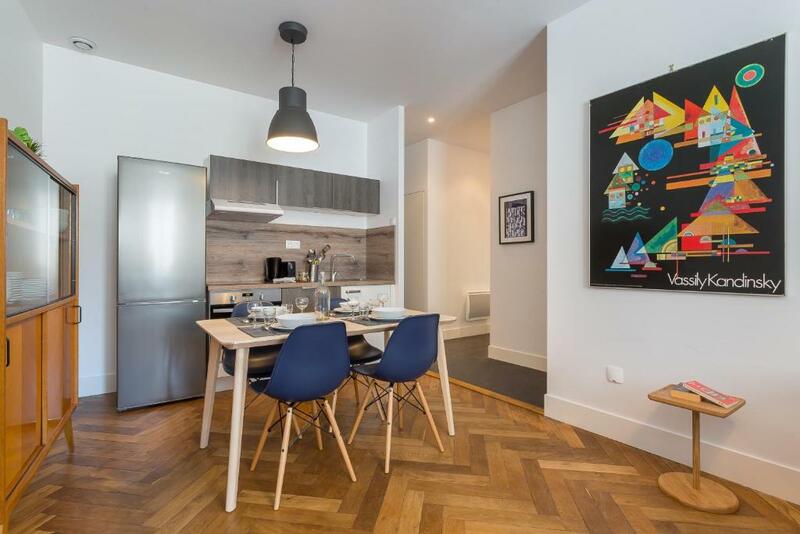 It was a superior apartment with a superbly equipped, well-designed kitchen. in a solid 19th century building in an elegant quarter . Only three minutes walk from Metro Foch on Line A and a 10 minute direct journey from Vaulx en Velin metro station, where the airport tram stops. Bus 27 runs down through Place Bellecour to Vieux Lyon. A two minute walk to a superb baker's for early morning croissants, and with two mini markets a five minute walk away. There are several good bars/restaurants nearby. There was no problem checking in at 3pm as the agent's office is just around the corner. the agent was friendly and helpful and spoke English, although not fluent. Apt was clean, looked recently renovated, two bedrooms with living room. Host agreed to check us in before check-in time. Good restraunt in next building and boulangerie. Comfortable, clean and stylish. An excellent two-bedroom flat in a delightful area. 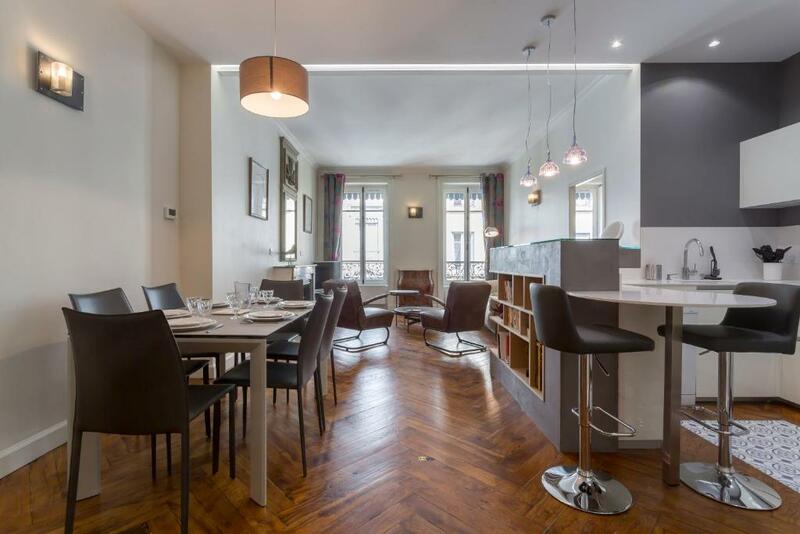 easy walking access to city centre and a few paces from a useful Metro station. Plenty of small restaurants in the vicinity. Excellent access to Eurexpo by metro and shuttle bus - journey time around 30 - 40 minutes. Comfy beds, beautiful decor, excellent location, very friendly and helpful host. 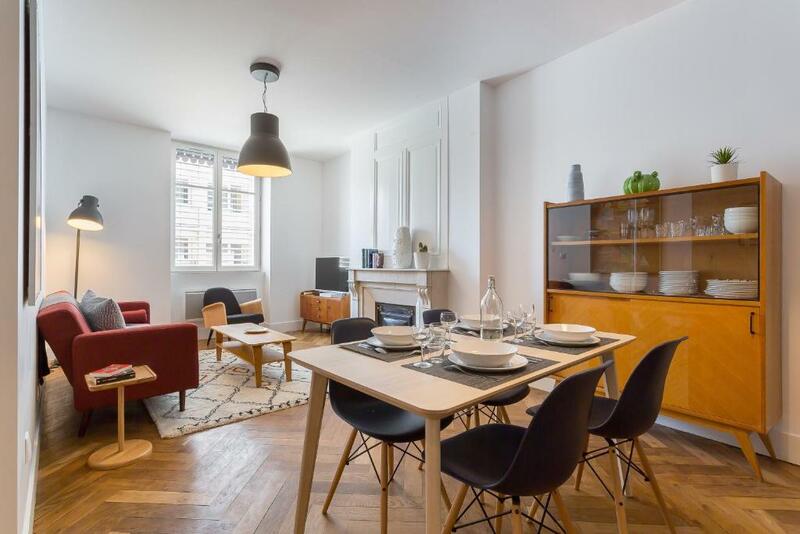 Lock in a great price for Like Home - Foch – rated 8.9 by recent guests! 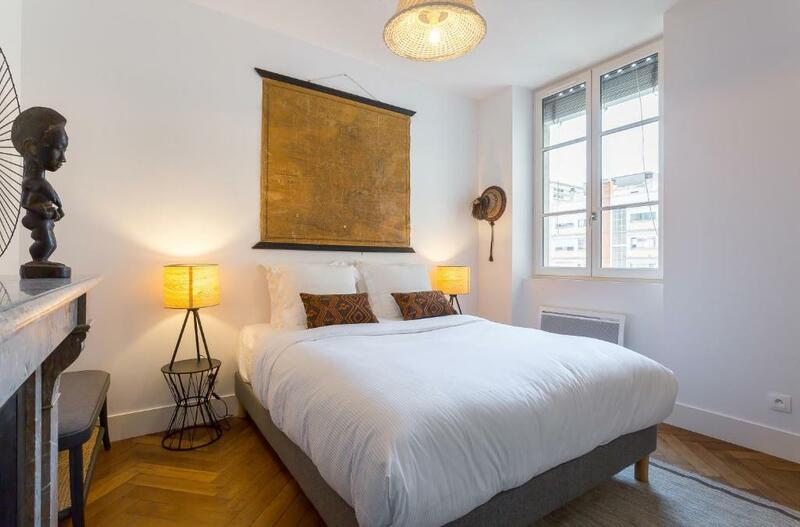 One of our top picks in Lyon.Located 1.1 miles from the Museum of Fine Arts of Lyon and 1.8 miles from Musée Miniature et Cinéma, Like Home - Foch provides accommodations in Lyon. Free WiFi is offered. The units have a fully equipped kitchen with dining area, a dishwasher and an oven. A toaster and stovetop are also featured, as well as an electric tea pot. Fourviere Roman Theatre is 1.8 miles from the apartment. Saint Exupery Airport is 18 miles away. 뀐 Located in the top-rated area in Lyon, this property has an excellent location score of 9.3! When would you like to stay at Like Home - Foch? 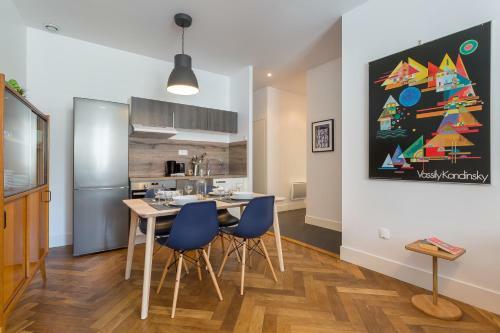 This apartment has a oven, dining area and tumble dryer. House Rules Like Home - Foch takes special requests – add in the next step! Like Home - Foch accepts these cards and reserves the right to temporarily hold an amount prior to arrival. Please inform Like Home - Foch of your expected arrival time in advance. You can use the Special Requests box when booking, or contact the property directly using the contact details in your confirmation. Blankets were mega hot, it was hard to cover even with open windows at night. We didn’t manage to close window shields as they were not moving. the loo is small and without window.All the rest is perfect! No hair dryer in the flat. However, there really is nothing to complain about with this accommodation. Truly excellent! On arrival we were informed that the property booked in Jan 2018 was unavailable and we were advised to proceed to another property. Despite our attempts to sort the issue with the contact we were essentially ignored. A part refund offered at the beginning was never honoured. This property had only 1 bathroom whereas we understood the property we booked had 2 bathrooms. It also had 2 broken chairs eliminating the possibility for dining at the table. No tea towels or dishcloth to wash dishes, no spare bin liners, no microwave, no instructions for appliances. No instructions on how to dispose of rubbish. No A/C (temps over 30C everyday). One of the room is very dirty sounds like no one take care of it for long time. Staff response immediately but can’t find any clean lady to do the cleaning. 1- We were forced to take an apartment that we did not chose. 2- The representative of the agency was very rude to us. 3- Two of the chairs were unsafe to set on 4- The toilet seat was broken and unsafe to use. 5- when the agency was informed of all these facts they simply ignored us. 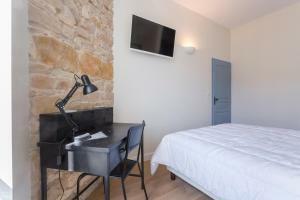 Very beautiful apartment, close to the city center and a lot of lovely shops and cafes. The furniture is really nice and it is equipped with everything you need. Host was helpful as well. Wi-fi didn’t work...and host didn’t respond to booking.com message or text to his phone. Comfortable, spacious and quiet. Good location, good bakery in the side street. Good Japanese Restaurant one block away. Note that both bedrooms have ensuite batrooms (one with a shower/tub the other a modern walkin shower) but no toilets. There is one toilet to share. The kitchen is a little short on good knives and some cooking utensils. So if you like to cook you may find it a bit rough. Some accessories and kitchen utensils were a little lacking. Excellent location and a very comfortable stylish apartment.